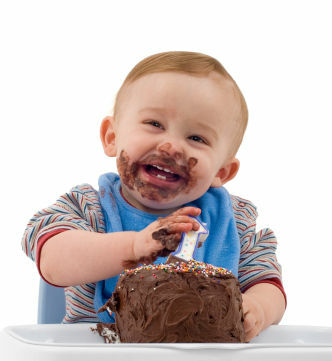 Eating cake like a BOSS. If you’ve completed filing your income tax returns then I’d like to invite you on a retrospective journey through the evolution of this blog—the discoveries, the triumphs, the tears, the deep questions, and most importantly, the jokes. If you haven’t completed filing your income tax returns….what the hell is wrong with you?? Get back to work!! A year ago today I tentatively uploaded my first blog post “Fear of Flying Kicks.” I didn’t share it with anyone other than whoever might stumble across it on the other side of the internet. For a month I walked around with the secret tucked in my pocket until I shyly told one trusted person about it and then started sharing the posts on Facebook. Since then I’ve gained some followers, and my posts have been very meaningful to them. I’m delighted that my words provided some insight and comfort to others even more than they have been to me. I’ve received a little criticism too, which is just par for the course of sharing one’s thoughts with the world. Most importantly it’s given me a platform to share all the learnings and epiphanies that were bubbling up inside me so ferociously I thought I would burst. “Does it give you peace of mind?” a coworker asked when I was trying to convince him to enroll his little daughter in taekwondo when she gets older. I was about to go into a long spiel about how it made me more focused, confident, self-aware, etc., but he continued with his question. He was asking if it gave me peace of mind as far as physical safety….oh yeah, there’s that part of it too! I told him if I go through life never having to use it in a real combat situation then I will be very happy. Confidence, staying cool and calm, and making safe choices are my first lines of defense against attack. As far as gaining the other type of peace of mind, something I had been pursuing my entire life—yes, I get that from taekwondo. A thousand times yes. More than I thought was possible. “Running didn’t change me. It just helped the real me find my way out.” I can say the same for taekwondo. The real me has been dormant for many years and it has literally kicked its way out into the sunlight. This was tough, but I pared down the list to my ten favorites. Why ten? As the great George Carlin said, ten is a “psychologically satisfying number.” And he said a lot of other things that I can’t write here. 1. Accidental Elle Woods – the one where I discover with horror that my life is the plot of a romantic comedy. NOOOOO!!!! This entry was posted in Class Diaries, Confidence or Lack Thereof, I Get All Zen and Yoga-y, Taekwondo Changed My Life and tagged adult taekwondo, change, confidence, goals, gratitude, happiness, life lessons, milestones, poomsae, taekwondo, women in martial arts by littleblackbelt. Bookmark the permalink.